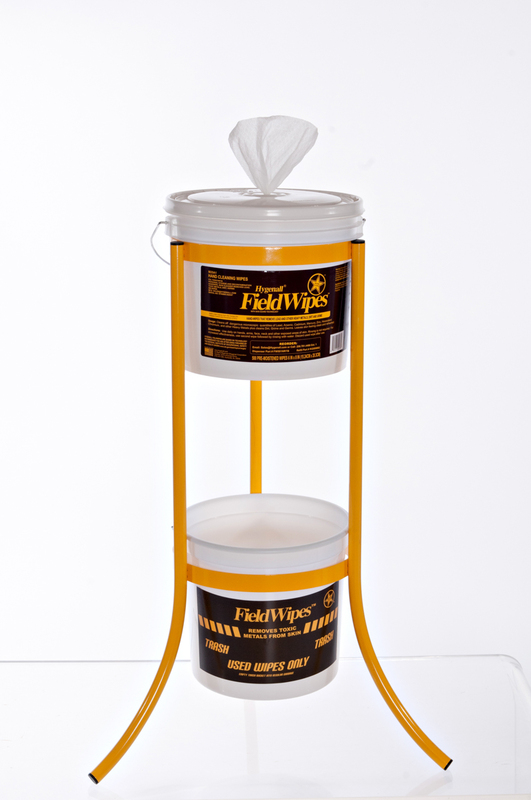 Regular anionic based soaps and wipes are great for removing soot, but not for microscopic cancer causing metals, germs and chemicals. In modern fires, burning materials can emit metal oxides that stick to skin and surfaces differently than soot, they stick through a strong electrostatic process, which will not clean off very well, no matter how hard you scrub. 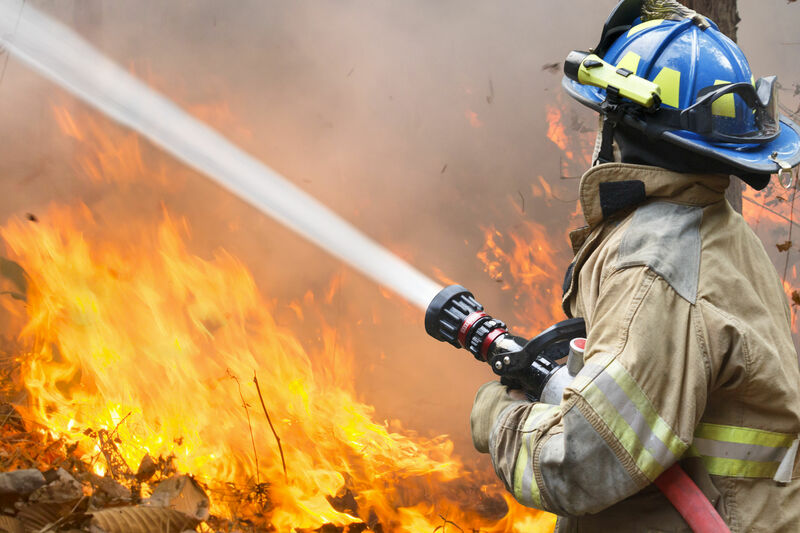 Hygenall’s licensed patents and patent pending technologies incorporate the use of cationic surfactants for metal removal, which works through electrostatic displacement and then washes away metals along with soot, grime, plastics, germs, and chemicals including hydrocarbons and opioids...Hygenall Firefighter Products are the best FULL-SPECTRUM decontamination and cleaning technology available. 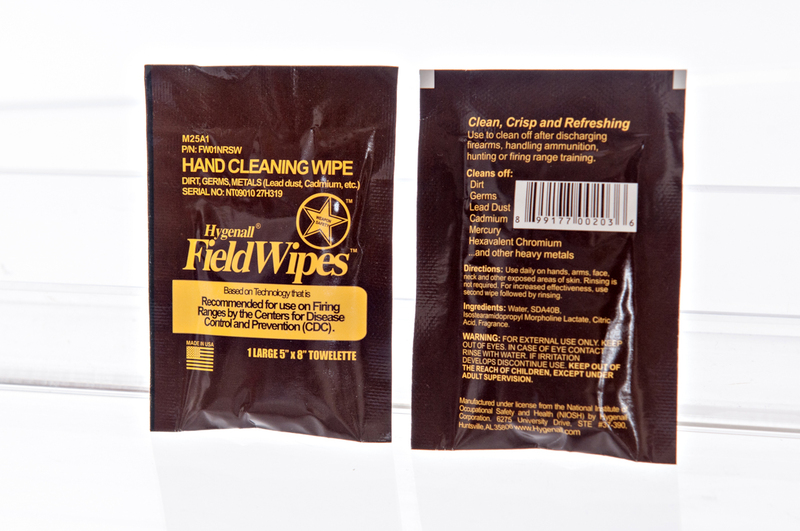 Individually wrapped wipes prevent cross contamination, and prolongs wetness. Irradiated for a shelf-life to 4 years. 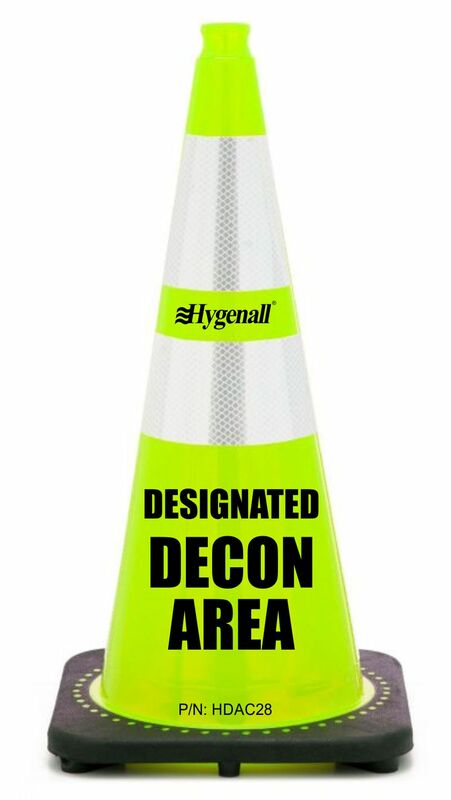 Large size for full-body decon and cleaning. 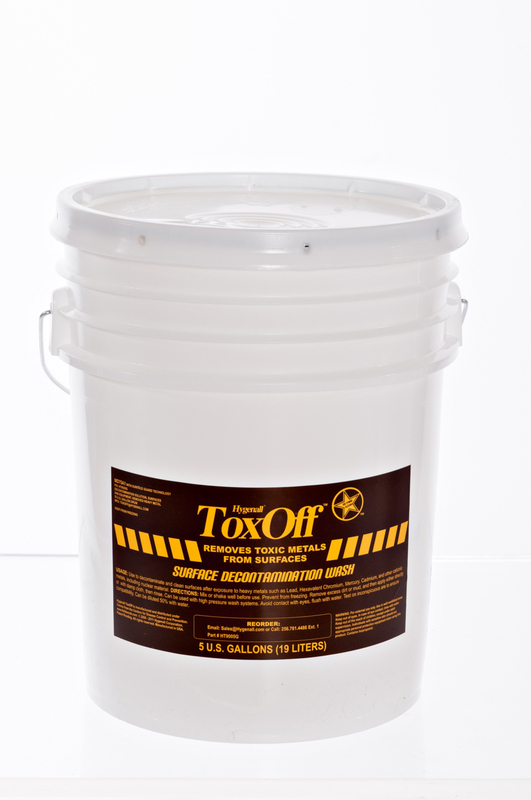 Based on science developed and patented by NIOSH. 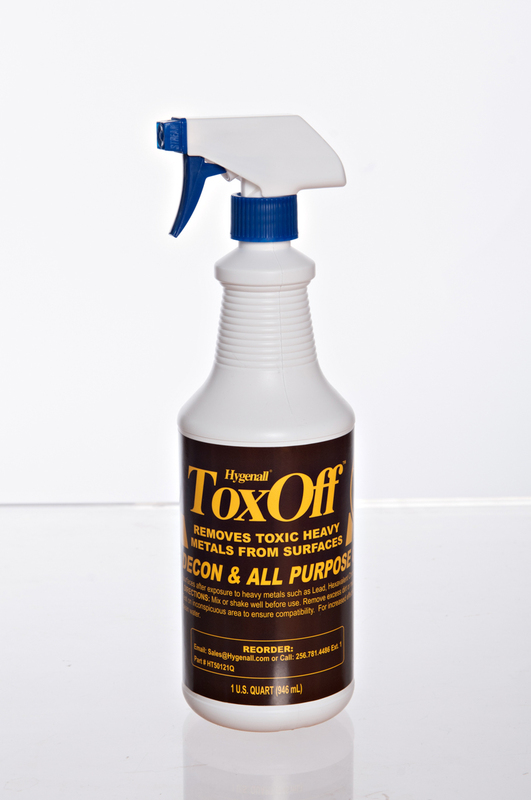 Helps clean off carcinogens including metal oxides, hydrocarbons, isotopes, drug residue, plastic residue as well as dirt, grime and germs. Alcohol and Fragrance free. 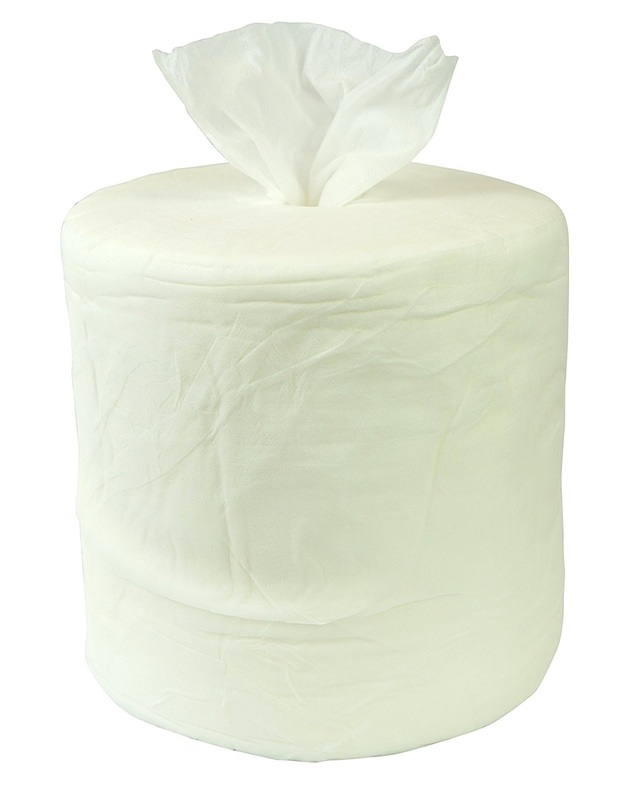 400 - LARGE-SIZE, 8"x12" Wipes per case. NEW! 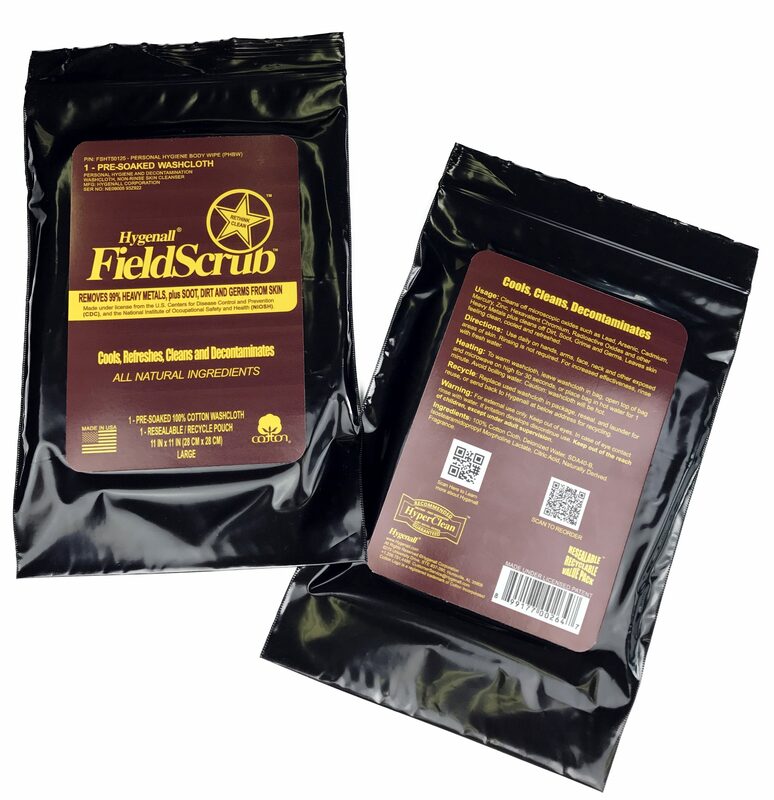 Hygenall® FieldScrub™ Individually Wrapped Non-Rinse Cleaning and Decontamination Cotton Towel. Large Cleaning, Cooling, Refreshing and Decontaminating Washcloth in a Resealable/Recycle Pouch. 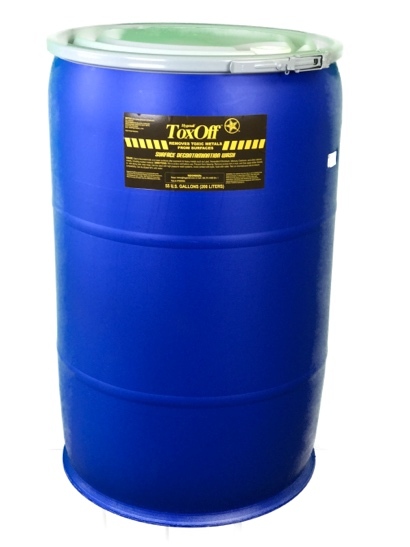 Removes potential cancer causing metal oxides, and soot, plus grime and germs commonly found at modern firegrounds and HazMat environments. 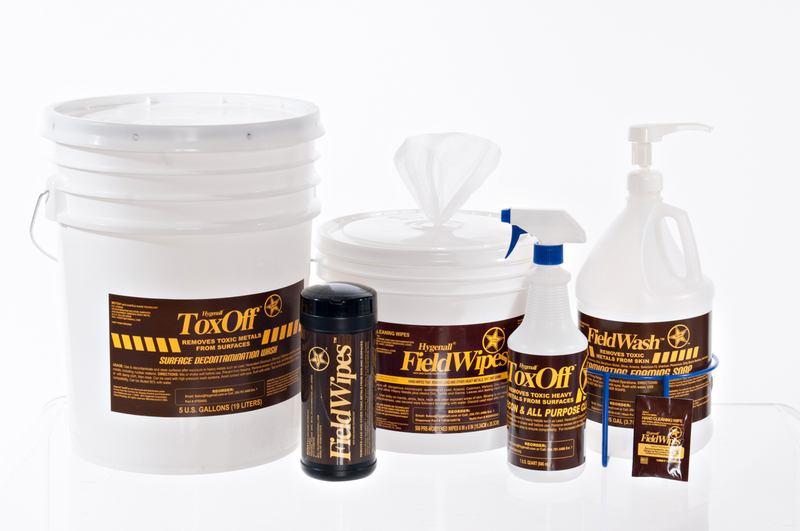 Cleans off 99% of heavy metals including Hexavalent Chromium, Cadmium, Lead, Arsenic, Mercury, Zinc, Nickel, Radioactive Oxides and other heavy metals, plus dirt and germs. Cooling effect reduces fatigue and improves moral. Washcloth can also be heated in the pouch for cold climate operations. 100% recyclable product, made with all natural ingredients. Cleans off what baby wipes miss. Alcohol free. 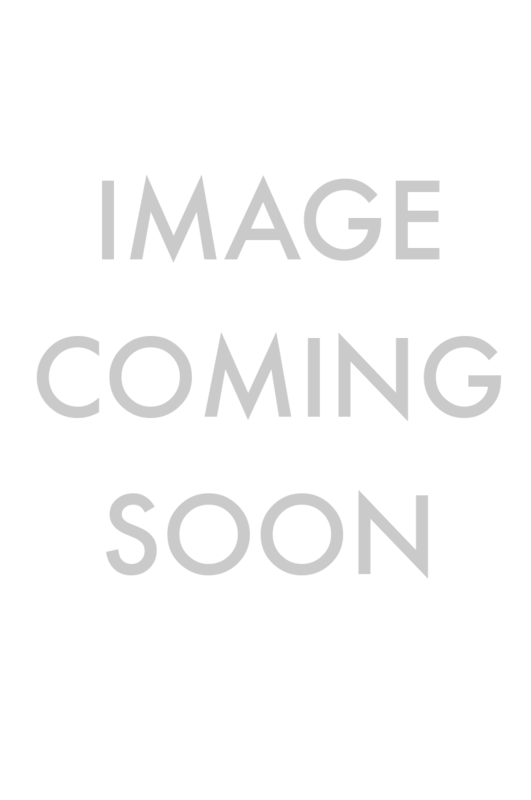 25 – EXTRA LARGE 15”x 25” Pre-Moistened 100% Cotton Towel Packs per Case. NEW! 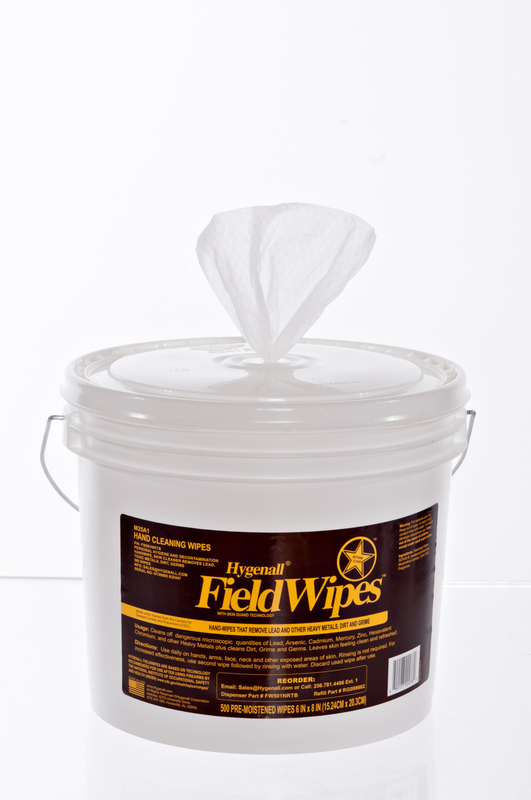 Hygenall® FieldScrub™ Individually Wrapped Non-Rinse Cleaning and Decontamination Cotton Washcloth. 4 - Bright Lime-Green DDA Cone's. 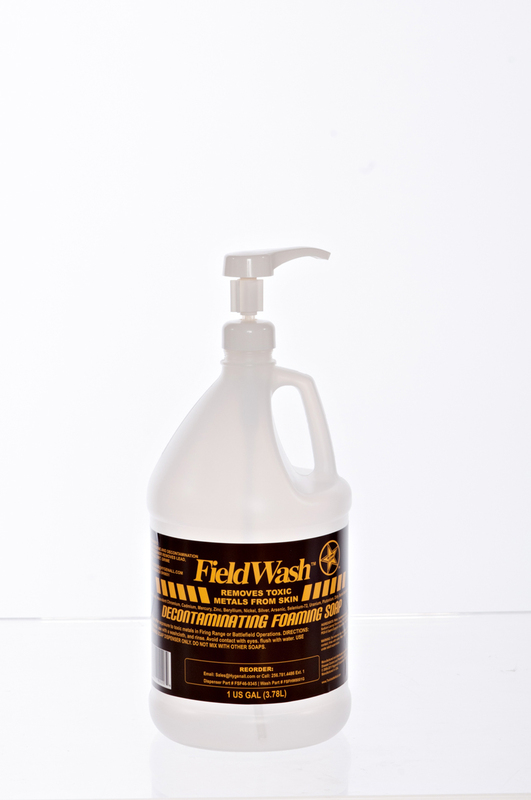 Use to designate a clean area on or near the fire ground for firefighters to retreat and safely remove, clean and decontaminate turnout gear and breathing apparatus, and to decontaminate themselves before donning personal clothing and shoes. 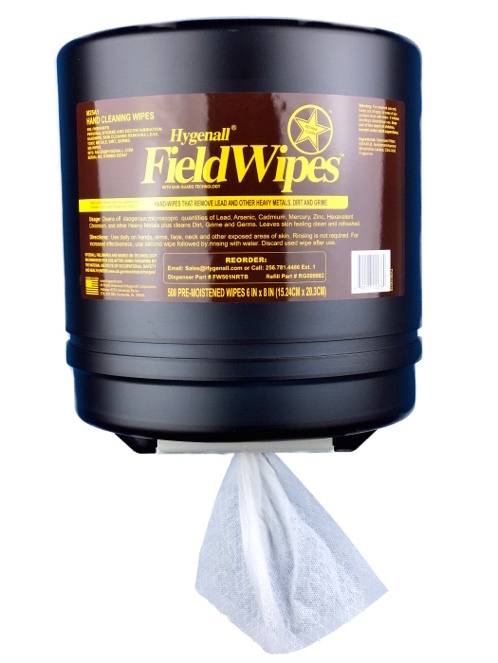 Hygenall® FieldWipes™ Refillable Wall Mount DeconStation™ Non-Rinse Wipe Dispenser. Rich, luxurious lather that Cleans, Cools, Refreshes and Decontaminates. The world's first Non-Rinse Full-Spectrum™ Wash in a Pocket Size bottle. 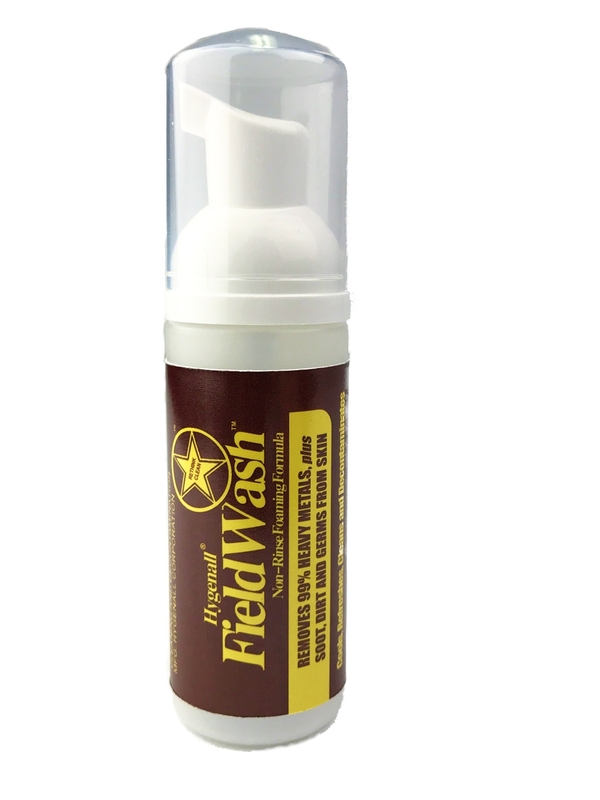 Helps remove potential cancer causing metal oxides, and soot, plus grime and germs commonly found at Modern Firegrounds, HazMat and Military environments. Cleans off 99% of heavy metals including Hexavalent Chromium, Cadmium, Lead, Arsenic, Mercury, Zinc, Nickel, Radioactive Oxides and other heavy metals, plus dirt and germs. 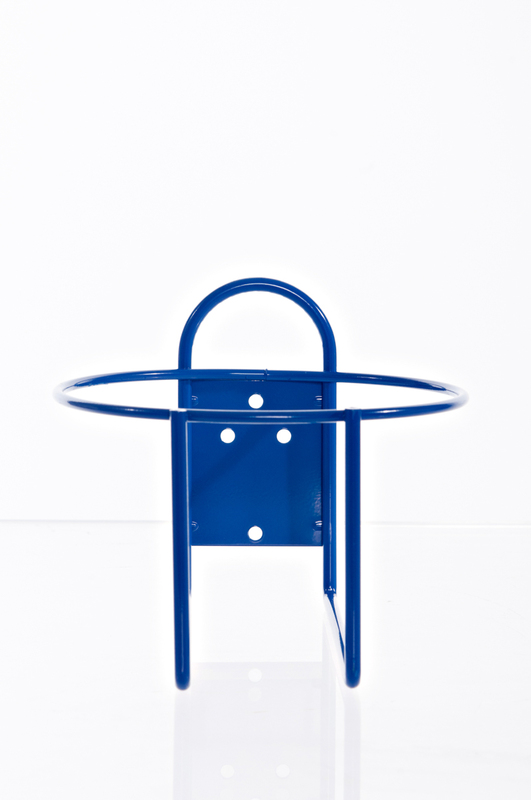 Cooling effect reduces fatigue and improves morale. ECONOMICAL: each 2 ounce bottle is equivalent to 150 wipes. Cleans off what baby wipes miss. 20 - POCKET SIZE, 2 Ounce Bottles per case.